This is one of the most crucial problems facing the country and despite our ageing population, it is gravely neglected. As we report today, many among us are not saving for our futures and still think the state will provide - although we won't necessarily be eligible for local authority support. Indeed, only 14 per cent of us have made provision for the time when we can't look after ourselves. 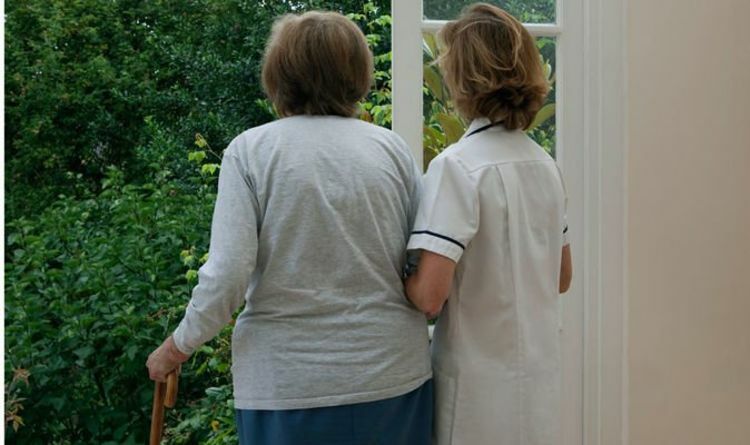 It's a looming disaster for ordinary families and older people's needs could consume the NHS. So it's vital we all become more prepared. Sadly, the Government hasn't covered itself in glory. The Department for Health and Social Care has delayed its long-overdue Social Care Green Paper six times, fiddling while Rome burns. So let's demand the changes we want: mandatory CCTV safety monitoring in care homes, an NHS Dementia Fund, greater funding - and also all start playing our own part by planning for the future. NO LONGER will social media be an unregulated Wild West. Today a crackdown on tech giants begins and the likes of Facebook, Instagram and Twitter face a new legal duty of care to their users, for fear of bans and significant fines. We support this move. For too long, big tech has failed to take down harmful imagery: from child exploiters and terrorists at one end, to fake news and cyber-bullying at the other. This regulation has had to be set up with care and we should ensure the protection of free speech and business on the internet. But no one can support the free-for-all that has allowed the likes of Isis to flourish while tech companies blithely deny responsibility. Let's ensure the UK becomes a safer place in the world to go online - and remove the platforms for those with malicious or murderous intent. HEARTY congratulations to James Edward Cracknell OBE, star of the victorious Cambridge rowing crew. At 46, the oldest competitor in the Boat Race to date, he has helped his side to victory over rivals Oxford. James is a highly accomplished sportsman - but that's not all. In 2010 he suffered a devastating head injury during a cycle ride across the US, sustaining a serious injury and falling into a coma.And sadly, just last month, he and his wife announced their split, citing the injury as a cause. So this win shows both personal heroism and the amazing human capacity for renewal in the face of adversity.